In this corner, Arturia puts together the second release of their “best of” virtual analog recreations, now with more samples and a free bundled keyboard. How will the Analog Factory Experience stack up against IK? In this corner, IK Multimedia rallies samples from the Moog collection, turning to even obscure models like the Moog Source and Concertmate MG-1 and sampling a Moog Theremin and the new models from Moog Music — just in case your road crew goes on strike. As we discovered when the elevator broke at the 6th-Floor Handmade Music party last month (ahem), actual analog gear is heavy, to say nothing of expense. There’s nothing quite like the real thing, in terms of sound, behavior, and tactile feedback. But the “next best thing” has some definite advantages. And competition for virtual alternatives is heating up. 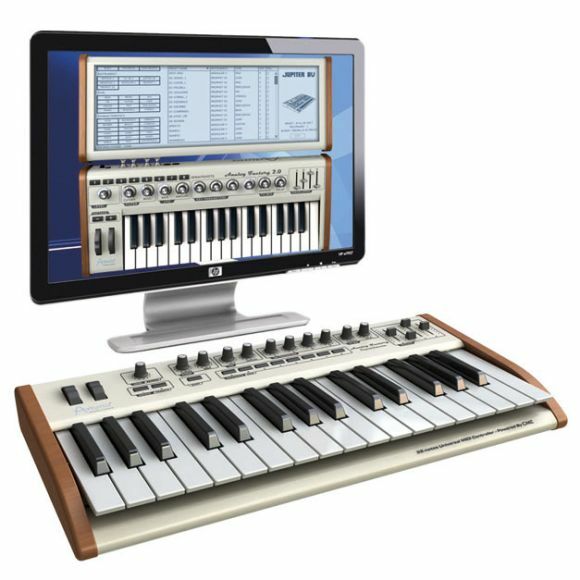 IK Multimedia and Arturia pack an unprecedented number of analog models into a single package for a pretty low price; Arturia now even throws in a keyboard to seal the deal. Arturia’s Virtual Experience vs. IK’s Moogs: Fight! The approach of each product is different. 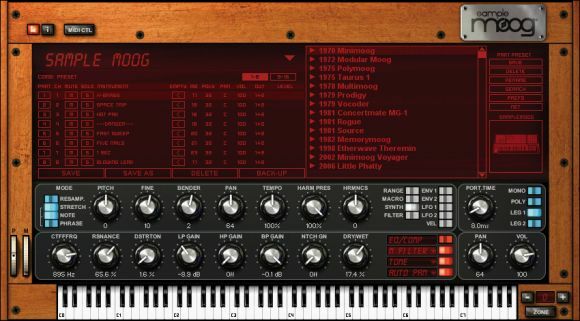 IK uses their sample engine, Arturia uses their “TAE” engine from their other virtual vintage products. IK has some additional multi-effects and sound-warping power; Arturia has arguably more hands-on control. 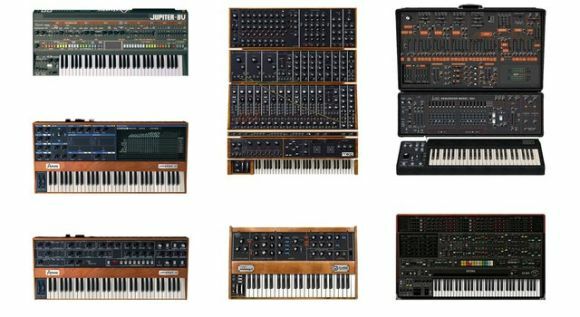 IK is entirely focused on Moog and even endorsed by Moog Music; Arturia has a cross-section of classics. And, oh yeah, Arturia is also throwing in an actual hardware keyboard (pictured a little later on). Arturia’s twist: throw in an actual physical keyboard. Hmm… if only we could read the spec sheets for these tools simultaneously. Wait — we can! Go, go, gadget HTML table! 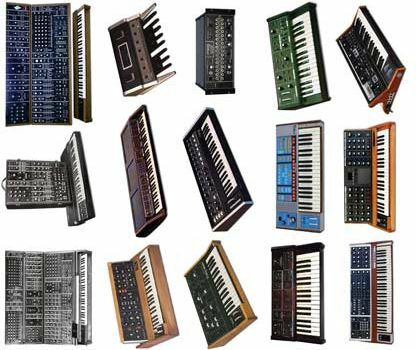 IK Multimedia’s SampleMoog, as the name implies, focuses on sampled Moog instruments, of yore and … of today. What About Arturia’s New Keyboard? Anyway, the CME keyboard naturally works out-of-the-box with the software parameters in the Analog Factory software, with 1 clickable encoder, 10 encoders, 4 sliders, 11 switches, 1 modulation wheel, and 1 pitch bend wheel. Now, I hear what you’re saying — couldn’t you do that with any keyboard? Yes. Yes, you could. Then again, hard to argue with it when it seems to be a free pack-in, and CME’s stuff is usually quite good. Could make a great gift to a synth lover for the holidays, I suspect. Here are some shots of the hardware — just mock-ups; the real ‘board was at AES but I didn’t get a chance to snap any shots, so just enjoy this lovely virtual world. A move we’ll see start to see from more developers? Hardware exactly mirrors what’s on the screen. Back panel: jacks for MIDI (5-pin), expression and sustain pedals, USB, and power.